The Former Kew Cottages (Kew Residential Services) initially consisted of three cottages, school house and kitchen constructed from 1887 to the east of the Kew Lunatic Asylum. The present buildings stand in extensive grounds with avenues of oaks lining the internal roads and mature plantings between the buildings. The surviving buildings at the site include two of the three cottages built in 1887, nowknown as Unit 10 and House Hostel. The original School House (Parent's Retreat/Chapel) was built at the same time. A further cottage (Unit 11) was built in 1891 and has also been altered. The ward (Unit 9) built as the female ward dates from 1898-1900. A separate dining room (STAD building) was built in 1917. Units 9, 10, 11 and the House Hostel have been much altered and extended. The three cottages and the female ward were updated in the wave of reform initiated by Dr E. Cunningham Dax, the first Chairman of the Mental Health Authority, in the 1950s and many of the changes made to these buildings reflect this era. The School House and the Dining Room are relatively intact although used for various purposes over the years. The Former Kew Cottages (Kew Residential Services) site deteriorated dramatically in the first half of the twentieth century, with severe overcrowding and lack of maintenance. There were two waves of reform to the institution in the later twentieth century. The first was initiated by Dr Cunningham Dax with the support of a media campaign launched by journalist E.W. (Bill) Tipping in the Melbourne Herald brought the overcrowding and poor conditions of the Kew Cottages to the community's attention, with the establishment of the Kew Cottages Appeal in 1953 raising £47,798. The first £10,000 was spent on modern plumbing, new kitchens, refrigeration and renovations to the original cottages. Four H-shaped dormitory blocks based on Dutch models seen by Dr Dax were built in 1958. A new ward (Ward 13) was completed in 1960 as was the Geiger Playhouse. In 1973 a further appeal was initiated by Graham Perkin, Editor of the Age newspaper. This became known as the Minus Children Appeal. There were over 500 children on the waiting list for places at Kew Cottages at that time. Four major buildings were constructed in this period to cater for daytime activities and education and named the Hamer Centre (day activity centre), the Smorgon Centre (medical and dental centre) and the Perkin Art Centre and the Age/Geiger Centre (theatre and kindergarten), which incorporated the Geiger Playhouse, were built as a result of this appeal. The Kew Lunatic Asylum (Willsmere) had been constructed between 1868 and 1872. The principal access to the complex was from a drive from Princess Street culminating in an eliptical carriageway in front of the main building. A gate lodge and large ornamental gates were designed in 1873 and erected at the entrance. These were later demolished (1940s?) for the straightening of Princess Street. The gates were relocated to the entrance of Victoria Park in High Street, Kew. In the 1880s the grounds were planted with many conifers and large growing trees, oaks, elms and Moreton Bay Figs, and trees indigenous to the area, River Red Gum, Yellow Box and Lightwood were retained in the landscape. In 1913 the landscape gardener Hugh Linaker was employed to layout the grounds of Mont Park (est. 1910). As landscape gardener for the State Lunacy Department he commenced a program of landscape improvements and tree plantings at asylums in Victoria. The conifer plantings and oak avenues were well established and a mature size by the 1940s. Conifers were widely planted from the 1860s along with Moreton Bay Figs and occasionally Oaks. Oaks and elms were more widely planted from the 1880s. It is not known if Linaker was responsible for the oak avenues, but it appears that many of the conifers, Monterey Pines, Canary Island Pines, Monterey Cypress, Hoop Pine, Bunya Bunya Pines and Himalayan Cedars, predate Linaker and the oaks and elms may have been planted soon after his appointment. The use of Bhutan Cypress in the landscape is almost certainly due to Linaker as he favoured upright trees.It is possible that the two remnant Monterey Cypress along Main Drive and a Monterey Pine along Lower Drive are trees from an earlier planting scheme. 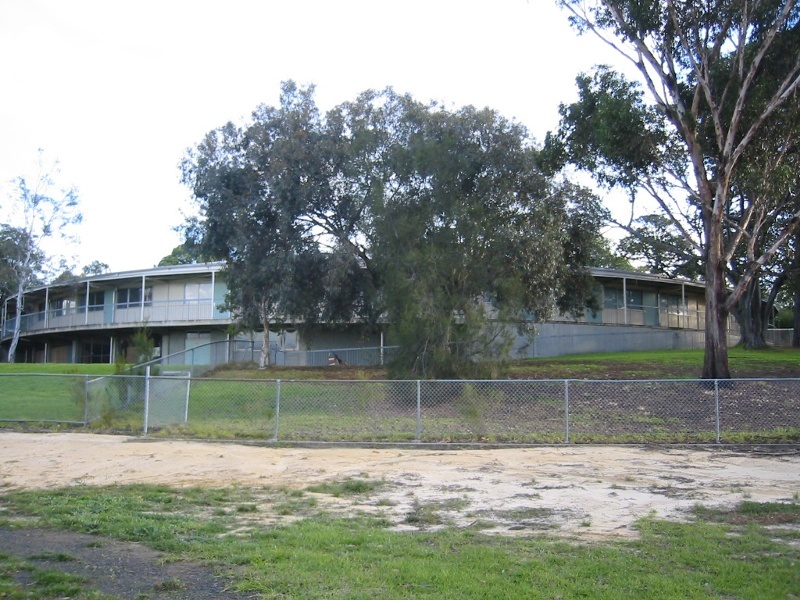 The Former Kew Cottages (Kew Residential Services) site is historically significant as the first government institution to be established for intellectually handicapped children in Australia. Its design and construction in 1885-87 represented a new and progressive move for the care and accommodation of people with intellectual disabilities, in that it removed them from the general lunatic asylums and provided opportunities for education and training. The six buildings constructed between 1887 and 1917 are of particular significance as the core of the site, demonstrating the form and function of the original institution. 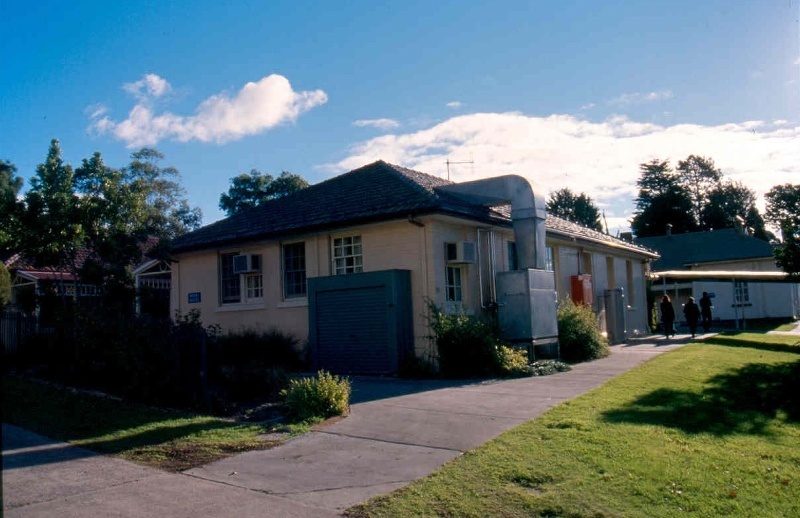 The Former Kew Cottages (Kew Residential Services) site is historically and architecturally significant as the first example of the cottage system based on the European 'Cottage System' applied in full to the intellectually handicapped. While the surviving original cottages have been extended and upgraded, their siting and, in part, their form and remaining fabric, point to the original arrangement of the institution. In addition, the changes made in the period 1958-1960 demonstrate the wave of reform initiated by the newly-appointed Chairman of the Mental Hygiene Authority in 1952, Dr Eric Cunningham Dax and the Tipping Appeal. It was the condition of the House Hostel and Unit 9 which demonstrated to the reading public in the 1950s the needs of the residents in the whole institution. 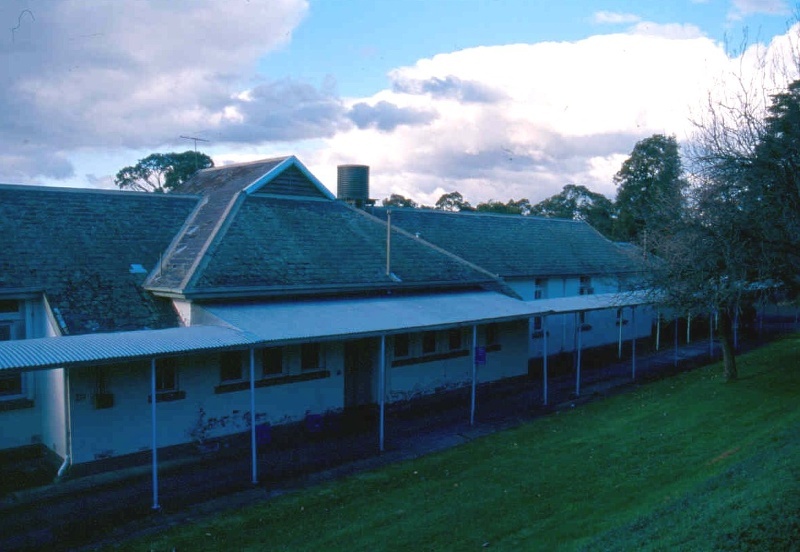 The Former Kew Cottages (Kew Residential Services) site is historically significant in demonstrating changing attitudes to the care of the intellectually disabled from 1887 to the present. 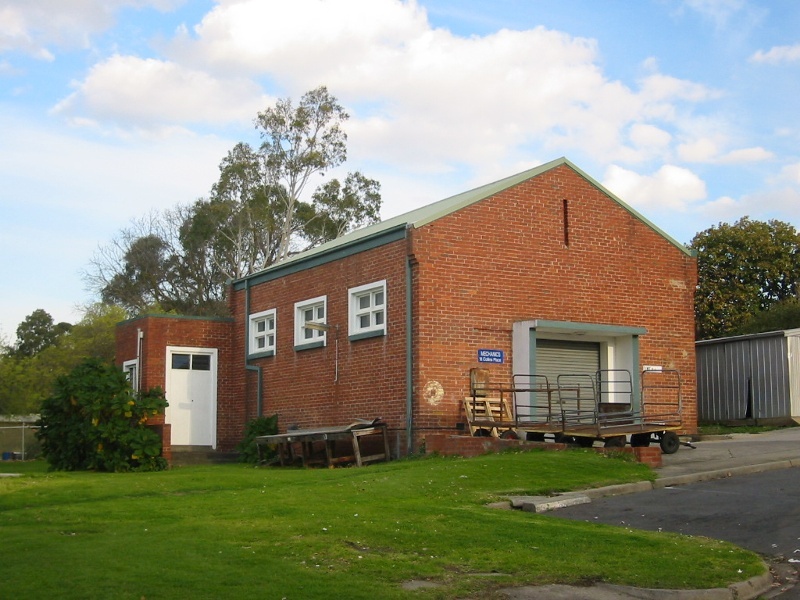 The Former Kew Cottages (Kew Residential Services) site is historically significant for its association with Dr Ernest Jones, first Inspector General for the Insane from 1905 and Dr Eric Cunningham Dax, first Chairman of the Mental Hygiene Authority from 1952, whose reforms are reflected in the development of the site and buildings. The cottage now known as Unit 10 is historically significant as one of the original cottages for boys opened in 1887, but considerably altered, especially in the years 1954 to 1960 but retaining the domestic scale of the original. The House/Hostel (1887) is historically significant as one of the original 1887 cottages for girls. Although much altered by changes made mainly in the period 1954-60, the building ( and Unit 10 and 11 ) demonstrates in its siting and remaining fabric, the first stage of development of the institution. 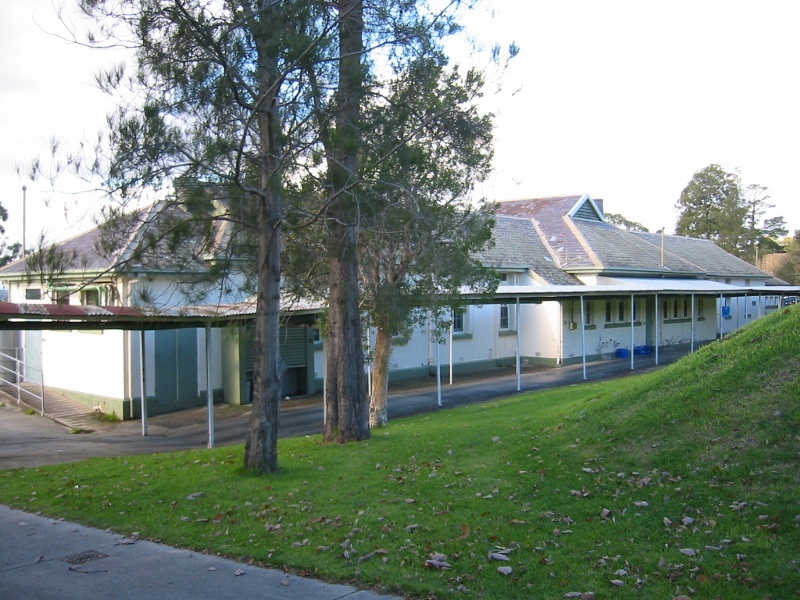 Additional facilities were added on the south side, replacing an existing verandah. The changes of the 1950s and 1960s demonstrate the wave of reform initiated by the newly-appointed Chairman of the Mental Hygiene Authority in 1952 and the Tipping Appeal and it was this cottage and Unit 9 whose condition demonstrated to the public in the 1950s the needs of the residents in the whole institution. The building constructed as the School House (Parents Retreat/Chapel) (1887) is architecturally and historically significant as the first building constructed to provide education and training for the residents and demonstrates the innovative educational function of the institution from its earliest period. 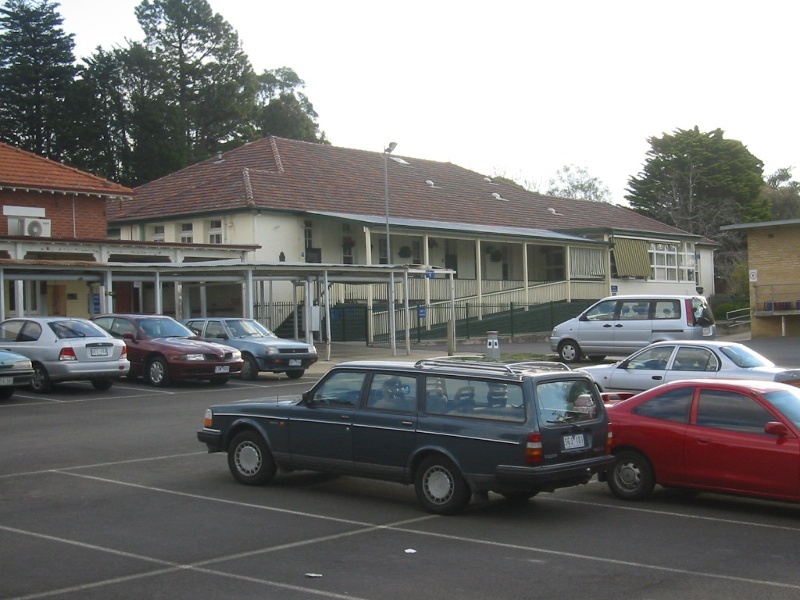 This school was the predecessor of special schools for the intellectually handicapped in Victoria. The cottage now known as Unit 11 (1887) is historically significant as one of the original 1887 cottages. It has been considerably altered by changes made mainly in the period 1954-60. 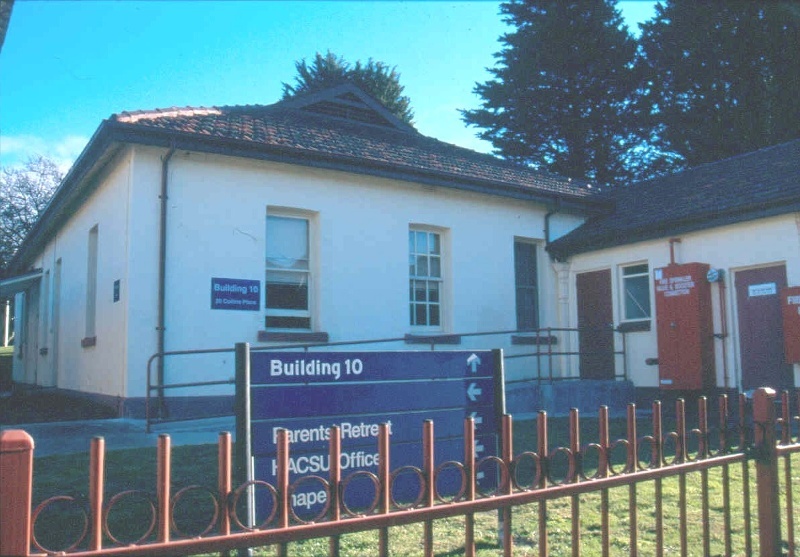 The building now known as Unit 9 (1898-1900) is of historical significance as one of the early wards, which has been considerably altered by changes made mainly in the period 1954-60. The former Dining Room (STAD Building) (1917) is of historical and architectural significance in demonstrating the development of the institution in the early twentieth century. The dining room was constructed to improve food hygiene as part of the reforms introduced by Dr Ernest Jones, Inspector General of Lunatic Asylums, in response to the regular outbreaks of typhoid and scarlet fever and the increase in the institution's population to over 300. The landscape at Kew Cottages is of historical and aesthetic significance at a state level. The planting is dominated by towering conifers from the nineteenth century, including Hoop Pines, Bunya Bunya Pines, Monterey Pines, Canary Island Pines, and Monterey Cypress. The landscape was further enhanced by avenue plantings of English Elms, English Oaks and Algerian Oaks along the Drives and in the landscape. The Main Drive comprises an unusual double avenue of trees, the outer rows are planted with Algerian Oaks, and the inner avenue with English Elms. Towards the western end the avenue changes to alternating Elms and Moreton Bay Figs. On the north side near the centre is a short row of Bhutan Cypress. The Boundary Drive is planted with an avenue of Algerian Oaks and the planting along Lower Drive mostly features pairs of alternating English Oaks and Algerian Oaks along the avenue. The grounds also feature an Oak Walk, asphalt path edged with uncommon glazed spoon drainage tiles and planted with Algerian Oaks, and a few English Oaks. Retained in the landscape are several old River Red Gums and a number of regenerating saplings, some now semi-mature and two Yellow Box and a fine Lightwood tree. 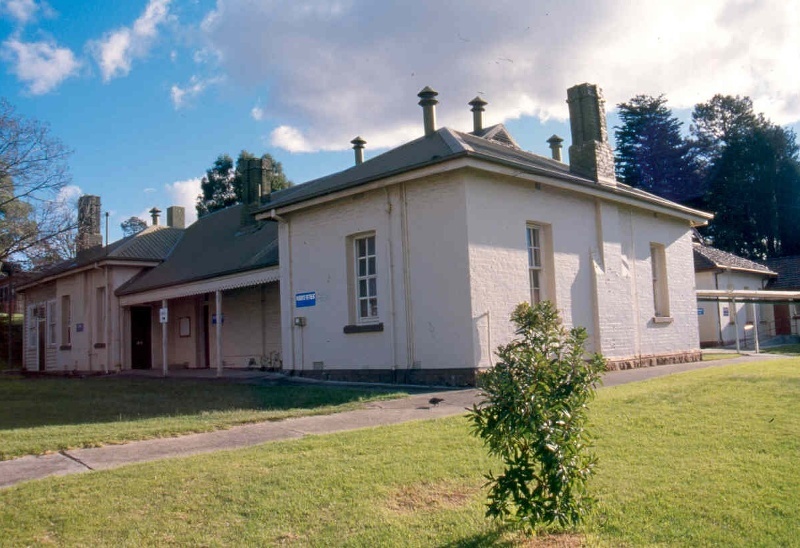 The Main Drive is of historical significance for its association with the Kew Lunatic Asylum (Willsmere), the largest nineteenth century mental institution in Victoria and later its use by the Kew Cottages complex. The landscape is significant for its association with the prominent landscape gardener, Hugh Linaker who was appointed by the State Lunacy Department in 1913. He later became State Superintendent of Parks and Gardens from 1933, and prepared landscape plans for the Buchan Caves reserve in 1929 and the new Shrine of Remembrance in 1933. Linaker was one of the most significant landscape designers in Victoria in the early 20th century His landscape style included mixing exotics and native trees and contrasting forms especially narrow crowned and fastigiate forms and palms. These were often planted in alternate arrangements in the landscape to give a striking and contrasting image. The planting is of scientific (horticultural) significance for its collection of trees rarely cultivated in Victoria and trees of outstanding size and form. The grounds include three specimens of the rarely cultivated Prunus ilicifolia. The only other known trees are an old tree at Willsmere, now coppicing from a stump and a young sapling in the entry courtyard and a large tree in Caulfield Park. The planting also includes an uncommon Pinus muricata, Brachychiton roseus subsp. roseus, and three Cupressus macrocarpa 'Fastigiata'. Beside the workshop is a stand of the rarely grown Wigandia caracasana and north of the Chapel two young trees of Arbutus canariensis. The Algerian Oaks (Quercus canariensis), (about 80 trees) at Kew Cottages are highly significant. For some unknown reason the trees have been grafted onto English Oak (Quercus robur) rootstock. The location of the graft union ranges from ground level to about two metres above ground level. Algerian Oaks are readily grown from acorns and this form of propagation is only known to occur in Rosalind Park Bendigo, where there are three grafted Algerian Oaks in an avenue. 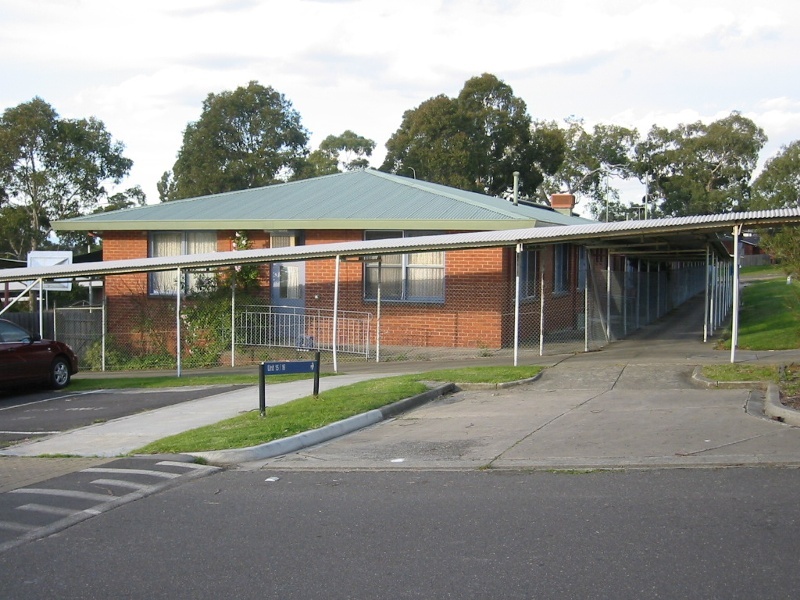 The Former Kew Cottages (Kew Residential Services) site is of social significance in demonstrating the position of the intellectually disabled in society. Public awareness campaigns such as the very successful Tipping and Minus Children Appeals for improvements at the Cottages have been influential in changing public perceptions of the disabled. The Kew Parents Association founded in 1957 was the first such organisation in Australia, acting as an advocacy group for their children and for all intellectually disabled citizens. 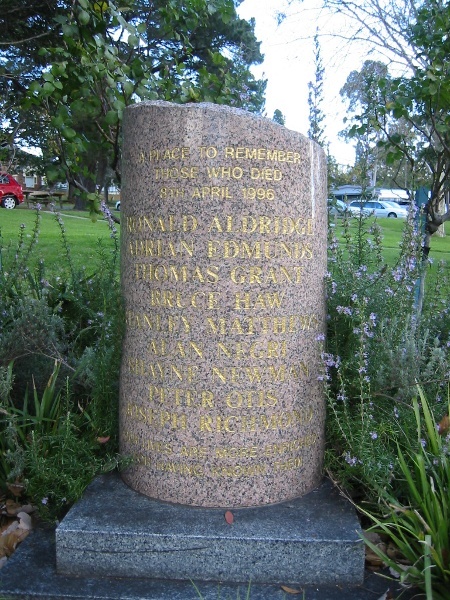 The memorial structures at Kew Cottages commemorating the long term residents and the nine men who died in a fire in Unit 31 in 1996 are of social significance as a reminder of society's duty of care to the intellectually disabled. General: The landscape, plantings, avenues, concrete lamp-posts. 2. All of the Land marked L1 on Diagram 2073 held by the Executive Director. The Kew Cottages now known as Kew Residential Services were constructed in 1887 in the grounds of the Kew Lunatic Asylum . They were built to house intellectually handicapped children, then referred to as ?idiots? or ?imbeciles?. Previously the only place for institutionalised ? idiot children? was a lunatic asylum with the mentally ill A separate institution for educable children was suggested in 1872 by the Inspector of Lunatic Asylums. In 1872 the Lunacy Act provided the all individuals who showed signs of mental impairment Dr Paley. The Royal Commission on Asylums and for the Insane and Inebriate chaired by Ephraim Zox recommended in 1886 that ?a separate institution be established for idiots? on the cottage system, rather than within a large-scale institutional building. From 1887 until 1912, the institution was called the ?Asylum for Idiot Children?, Kew. In 1912, the Superintendent recommended the name change to ?The Colony for the Feeble Minded?, and for five years ,from 1913 until 1917, it was known as the ?Colony for Mental Defectives?. In 1918 it officially became known as the ?Children?s Cottages, Kew?, and later as ?Kew Cottages?.Despite the name change to ?Kew Residential Services? in recent years, the institution is still widely referred to as the ?Cottages? or ?Kew Cottages?. The building constructed as the School House (Parents Retreat/Chapel) (1887) was the first building constructed to provide education and training for the residents and represents the innovative educational function of the institution from its earliest period. The building was divided into areas for boys and girls. The subjects taught included physical culture, recognition of colours and objects, singing, reading, writing, telling the time, numeration, arithmetic, finger exercises, shopping, sewing and drawing,. The building was extended to the south in timber in 1901-02 and converted to an infectious diseases ward in 1907-08, representing an improved knowledge of the management of infectious diseases. The building had a number of further changes in usage but retains much of its original fabric, including timber eaves, timber fretwork and posts on the verandah, double sash six paned windows, bluestone foundations and ventilators. After Willsmere closed in 1984, the south end was used as a chapel as the Willsmere chapel was no longer available to residents. A fire in Unit 31 in April 1996 resulted in the deaths of nine male residents. 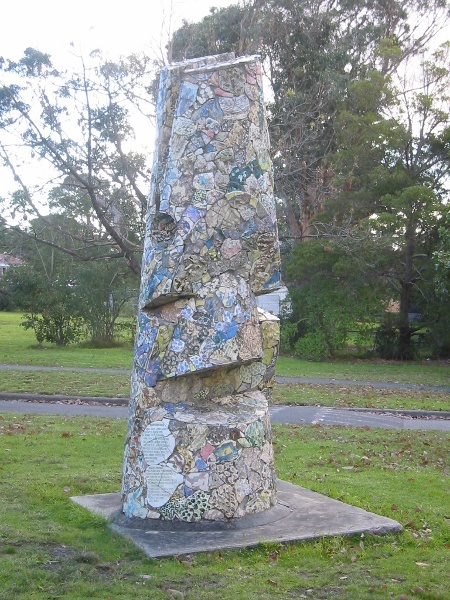 A memorial consisting of a gtrantite column and nine surrounding standard roses was located in the grounds but not near the site of Unit 31 by December 1996. The landscape is associated with the prominent landscape gardener, Hugh Linaker who was appointed by the State Lunacy Department in 1913. He later became State Superintendent of Parks and Gardens from 1933, and prepared landscape plans for the Buchan Caves reserve in 1929 and the new Shrine of Remembrance in 1933. Linaker was one of the most significant landscape designers in Victoria in the early 20th century His landscape style included mixing exotics and native trees and contrasting forms especially narrow crowned and fastigiate forms and palms. These were often planted in alternate arrangements in the landscape to give a striking and contrasting image. * The process of gardening, mowing, hedge clipping, bedding displays, removal of dead plants, disease and weed control, emergency and safety works and landscaping in accordance with the original concept. * The replanting of plant species to conserve the landscape character, conifer, elm, oak, poplar, and shrub plantings as required by conditions 9 & 11 under Heritage Permit No P9639, issued September 2005. 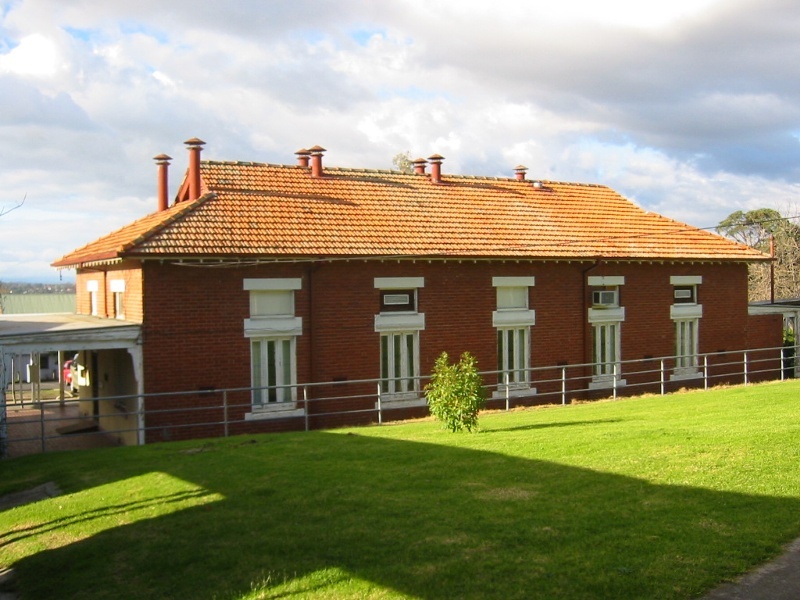 Any internal changes to B1, B2, B4 and B5 do not require a permit on condition that previous changes to those buildings made in the Cunningham Dax period to reflect new ideas about institutional care for the intellectually handicapped in the mid-twentieth century are fully recorded to the satisfaction of the Executive Director. All buildings other than B1-B6 may be demolished or removed subject to adequate photographic and other recording to the satisfaction of the Executive Director. Repealed, amended or withdrawn by the Executive Director of Heritage Victoria under the Heritage Act or made redundant by the amendment of the Heritage Registered area of the Kew Cottages Heritage registration (H 2073) It is intended that the residential buildings as completed should remain relatively uniform on their frontages particularly in presenting an open landscape. While the frontages may have gardens and trees and standard masonry letterboxes they should remain relatively constant in regard to their architecture and aesthetic appearance. It is intended that permit exemptions exist for the construction of structures in the rear and side yards and the construction of non habitable structures such as pergolas, awnings, canopies, small sheds and structures such as aviaries, children's playhouses, water tanks, open sided shade areas, and the like. Note: the street addresses listed in all categories below are considered to be the frontage of the property. The maps referred to can be found in the Attachments screen of Hermes. A full suite of Permit exemptions in the Heritage Registered areas (H2073) applies to the following street addresses, being addresses where there is no interface with heritage registered trees or buildings. Soft Landscaping including gardening and planting of shrubs bushes and native trees The erection of pergolas, shade awnings to the sides and rear of the building but not the frontage The erection of small rear sheds of max 3 sqm but not higher than 2.1m (including aviaries, glass and seed houses, children's play houses). The construction of water features including pools, water-tanks and clothes lines, and bin enclosures (to 1500mm high). The erection of timber and or masonry fences (brick, rendered block, concrete and stone faced) not more than 1.5 m high on allotment boundaries and the erection of other fencing (eg pool fencing), within the rear yardage but not on allotment boundaries. Aerial dishes (max 900mm diameter) and aerials where installed behind and fully or partially hidden by parapets The erection of heating and cooling plant in rear yards or behind parapets where it is not visible from the street. All internal alterations are exempt. The construction of enclosed garages or roofed carports provided no part of the construction is forward of the building line of the residences. Materials must match that of the existing house. The construction of upper level habitable extensions, or roofing provided the external materials and detail are the same as the existing house and the building work is no higher than two storeys and the location is to the rear side of the property. No part (including roofs) of the extension may be more than 0.75m higher than the existing house. Note this exemption does not include roof decks. 12 Linnaker Place and shown as light blue on the accompanying map. Note the widening of driveways or the installation of new masonry letter box pillars are not permit exempt. Soft Landscaping including gardening and planting of shrubs bushes only. The erection of pergolas, shade awnings to the sides and rear of the building but not the frontage The erection of small rear sheds of max 3 sqm but not higher than 2.1m (including aviaries, glass and seed houses, children's play houses). The construction of water features, water-tanks and clothes lines, and bin enclosures (to 1500mm high). The erection of timber and or masonry fences (brick, rendered block, concrete and stone faced) not more than 1.5 m high on allotment boundaries and the erection of other fencing (eg pool fencing), within the rear yardage but not on allotment boundaries. Aerial dishes (max 900mm diameter) and aerials where installed behind and fully or partially hidden by parapets The erection of heating and cooling plant in side or rear yards or behind parapets where it is not visible from the street. The construction of upper level habitable extensions or roofing provided the external materials and detail are the same as the existing house and the building work is no higher than two storeys and the location is to the rear side of the property. No part (including roofs) of the extension may be more than 0.75m higher than the existing house. Note this exemption does not include roof decks..
Soft Landscaping including gardening and planting of shrubs and bushes only. Aerial dishes (max 900mm diameter) and aerials where installed behind and fully or partially hidden by parapets The erection of heating and cooling plant in side or rear yards or behind parapets where it is not visible from the street or the reserve containing the heritage registered trees. The construction of standard masonry free-standing letterboxes at the frontages. 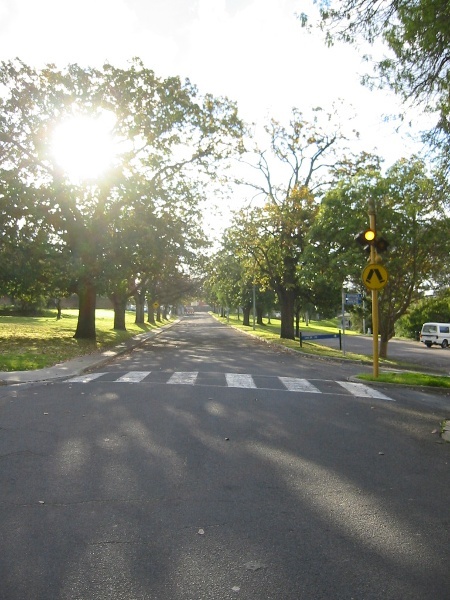 A limited range of Permit exemptions in Heritage Registered areas (H2073) applies to the following street addresses being places which interface with heritage registered trees on their frontages AND their side and or rear boundaries: 8 Linnaker, 3, 5, 20 Lower Drive, 18 & 19 Collins (front and side yards), and shown as light yellow on the accompanying map. The tree reserves are those on Main Drive and Lower Drive, and on Canopy Street (rear of Stainer St and 7 Brazier St) and the trees at Arbour & Collins and registered trees on Linnaker Place. Note the widening of driveways or the installation of new concrete letter box pillars are not permit exempt. Soft Landscaping including gardening and planting of shrubs and bushes only. Aerial dishes (max 900mm diameter) and aerials where installed behind and fully or partially hidden by parapets The erection of heating and cooling plant in side or rear yards or behind parapets where it is not visible from the street or from the reserve containing the heritage registered trees. The construction of enclosed garages or roofed carports provided no part of the construction is forward of the building line of the residences nor 1m beyond the rear building line. Materials must match that of the existing house. Permit exemptions are declared on the basis that the works proposed will not have an impact on the stated significance of the heritage place. It is anticipated that the registered buildings will be repaired prior to leasing out these structures and the exemptions will allow the ongoing (as-is) maintenance of the exterior of the building and allow a range of low impact changes to the interior. Note: Where work may be exempt under the Heritage Act, it may however require permits under the planning scheme (Residential Zone provisions) and will often require a building permit. The developer has also issued to all land owners a Memorandum of Common provisions which allows future development on the basis of works being designed according to those provisions and upon consent being obtained under those provisions. These exemptions apply only to allotments: 1 to 75 Stage (I) and 76 -124 (Unbuilt Stage II) until amended or rescinded. 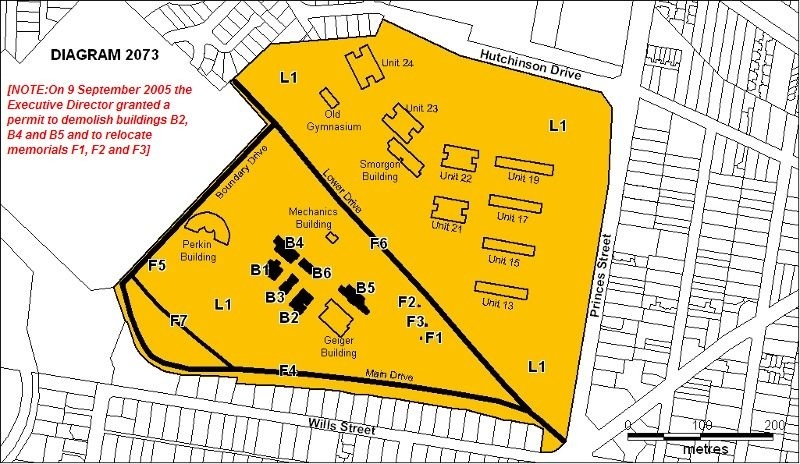 Further allotments MAY be exempted when development works are completed depending on their proximity to the heritage listed trees or the 3 heritage listed buildings being STAD, Unit 10 and Chapel Building. B1 (unit 10), B2 (House Hostel yet to be demolished), B3 Chapel Building, B4 (Unit 11 to be demolished) & B6 (STAD building). All works (including the demolition of B2 & B4) should be planned and carried out in a manner which does not jeopardize the conservation of the heritage place, does not alter original features and does not cause structural alterations. The landscape is important for its historical function as part of the therapeutic regime for mental patients in the nineteenth century and relates to the establishment of the adjacent Kew Lunatic Asylum (Willsmere). 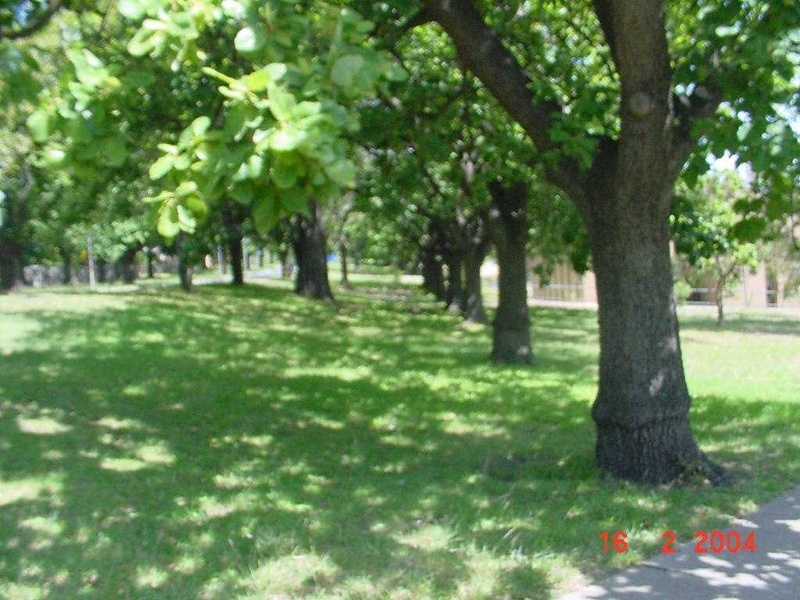 The management of trees and plantings may be guided by the John Patrick Tree Identification and Retention report for the site (July 2003). However there are some additional significant trees and plantings mentioned below but omitted from the Patrick report. 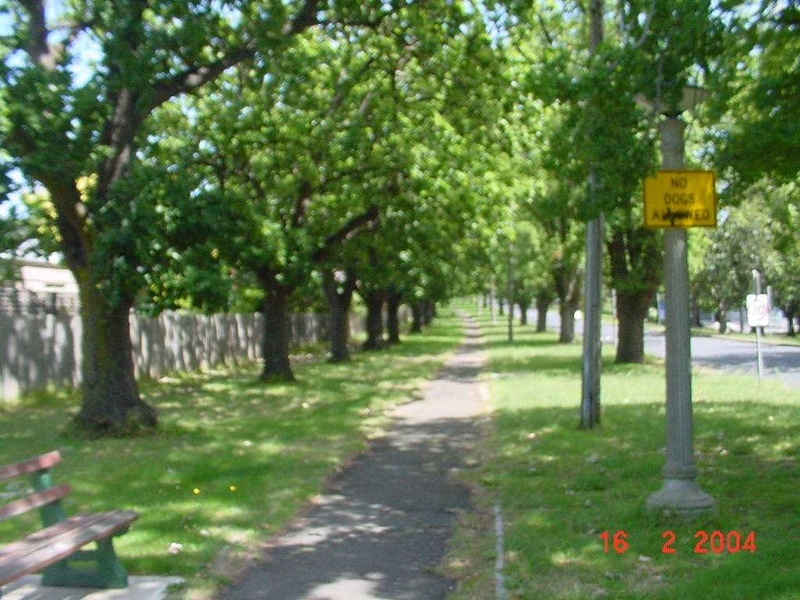 The significance of the Kew Cottages landscape lies principally in the double avenue (four rows of trees) of English Elms (inner avenue) and Algerian Oaks (outer avenue) and an avenue of alternating Moreton Bay Figs and English Elms along Main Drive, the Algerian Oak avenue along Boundary Drive, and an English Oak and Algerian Oak avenue along Oak Walk and Lower Drive, the collection of conifers, three rare Holly-leaved Cherry trees, Wigandia stand and remnants of the original flora, River Red Gums (and saplings), two Yellow Box and Lightwood trees. Future works and developments should ensure the protection of the designed landscape and significant trees. North of Lower Drive is a landscape featuring many eucalypt species, including trees of outstanding form, contrasting features and aesthetic value, and some trees rare or uncommon in cultivation. These trees provide a valuable addition to a more recent landscape layer and are worthy of retention. The 13 concrete lamps lining the footpath to the south of Main Drive and along Oak Walk, and extending into Willsmere, and two separate lamps, north of Oak Walk and near the Workshop are very significant. 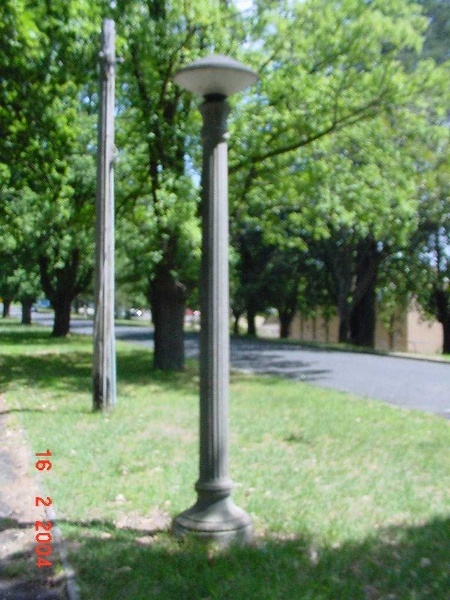 No other examples of this type of lamp are known in Victoria. Concrete lamp stands are not to be demolished without a permit and any catastrophic loss or damage shall be the cause of the reconstruction of a new concrete standard to matching detail. The Kew Cottages Cultural Heritage Survey prepared by Biosis Research Pty Ltd (2001) for Sinclair Knight Merz, the Conservation Management Plan by Bryce Raworth (2002) and the Statement Regarding Redevelopment by Bryce Raworth (September 2003) prepared for the Urban and Regional Land Corporation for the Department of Human Services should inform the permit policy. All buildings other than B1-B6 may be demolished or removed subject to adequate photographic and other recording to the satisfaction of the Executive Director. The recording of the buildings constructed as a result of the reforms undertaken by Dr Eric Cunnungham Dax and the media campaigns of E.W. Tipping of the Herald newspaper in the late 1950s and 1960s and that of Graeme Perkin, editor of the Age newspaper in the 1970s, should document the exterior and interiors of the buildings to show the changes in function reflective of this period of institutional reform and educational practices. 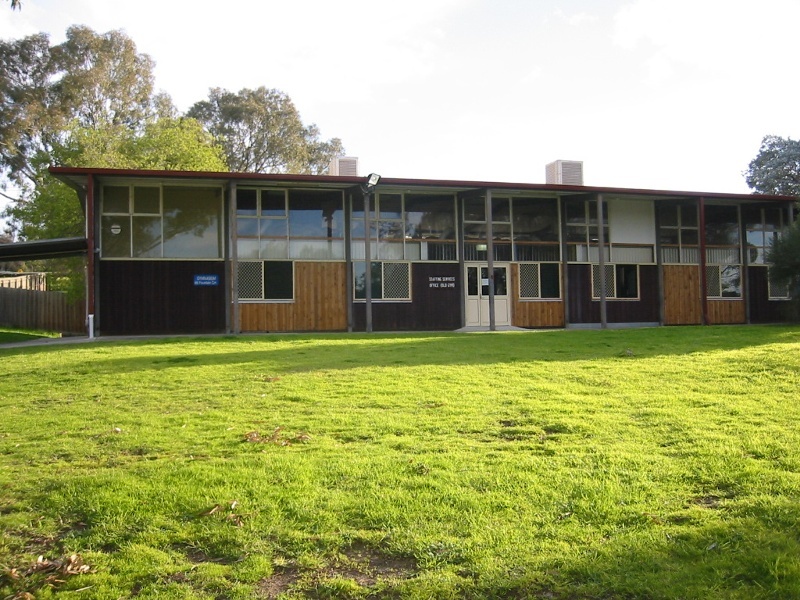 The wards and activity centres constructed between 1958 and 1977 include the H-shaped Dax wards, the Geiger Centre, the Perkins Art Centre, the Hamer Centre and the Smorgon Centre. The construction of the centres indicate a new recognition of the health, leisure, and educational needs of the residents.The original architectural drawings of these buildings should be located and archived as part of their history.